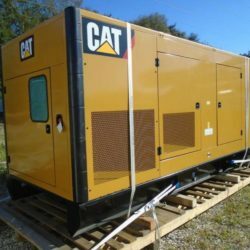 Ring Power Corporation, North and Central Florida’s Cat® dealer, is headquartered in St. Augustine, Florida. Ring Power is comprised of eight divisions and has more than 55 years of experience servicing and supporting Cat® products and allied equipment. Today, Ring Power Corporation has become one of the largest Caterpillar dealers in the Southeastern United States through dedication to the mission of customer service. In order to preserve the "Customers First" reputation that Ring Power was built on, we continually train our employees and work closely with our customers to assure complete satisfaction, especially after the sale.